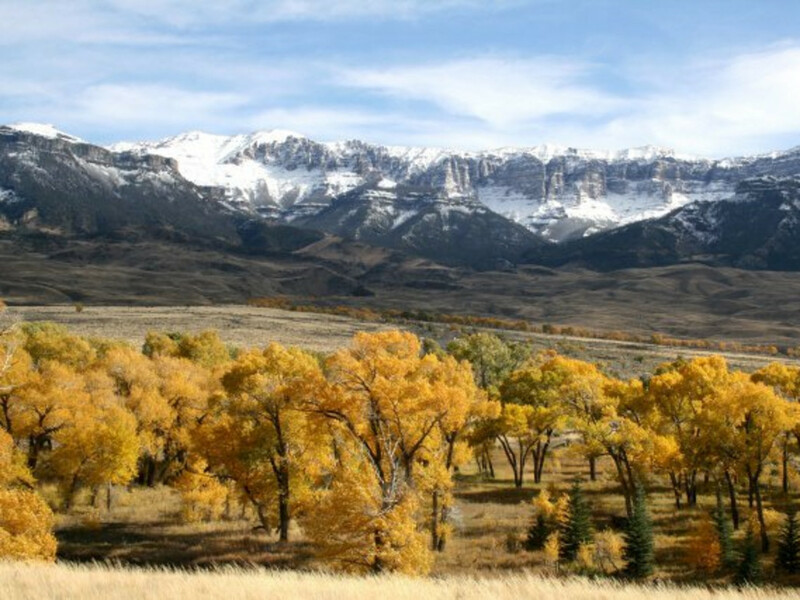 Fall colors in northwest Wyoming are simply stunning this time of year: Golds, yellows, and reds, as well as and orange aspen, splash the slopes of the mountains, while radiant cottonwoods steal the show along the riverbanks. To soak up the vistas, take a drive up the North Fork or South Fork valleys, where you'll be hard-pressed not to jump out of the car at every turn for the fabulous photo ops. Or grab your camera and a friend to explore one of the trails below to make some unforgettable autumn memories during this beautiful season. 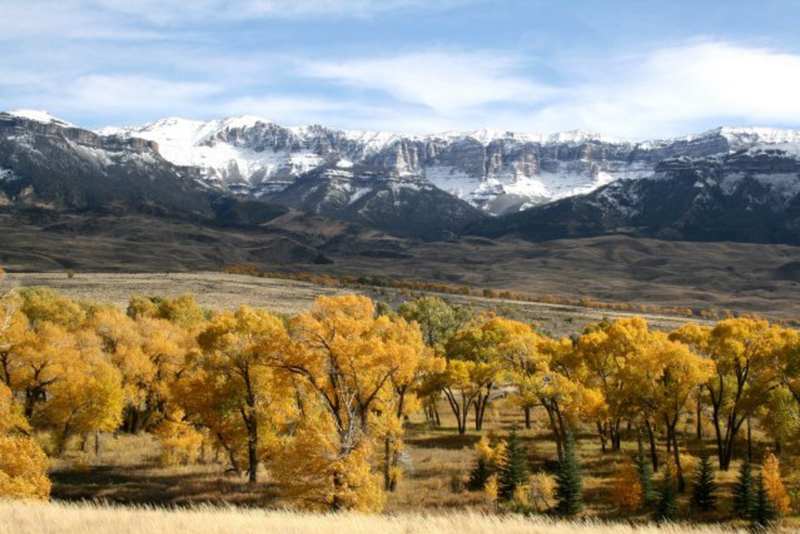 But hop to it: The fall color is fleeting around Cody. It also coincides with hunting season, so stay on the trail and wear some blaze orange. Grizzly bears are busy tanking up on any available food source before hibernation, so be bear aware, too. Finally, keep in mind that there's no cell service in any of the following areas. But that's part of the appeal, too: With no technological distractions, you can focus on soaking up the extraordinary show that Mother Nature puts on this time of year. A drive west along the Buffalo Bill Scenic Byway is a sublime way to see fall colors. 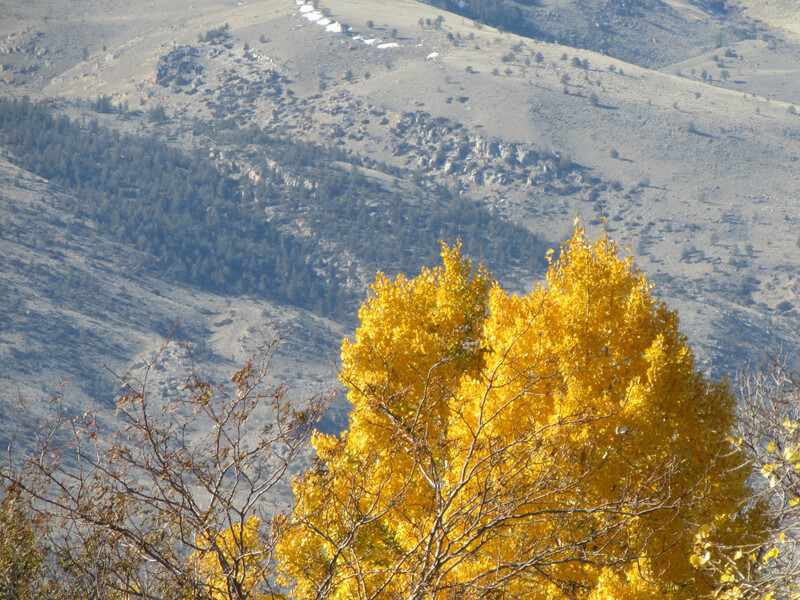 Golden cottonwoods flame along the river banks, while willows add their own shades to the mix. Add in the deep green of the pines and you'll wind up taking more photos than you ever thought possible. The area around the Wapiti Ranger Station is perfect for pulling off the road and capturing the cottonwoods against the reddish-brown volcanic cliffs. It's 52 miles of scenery to the East Entrance to Yellowstone National Park from Cody, making this the perfect half-day outing. For a sweet seasonal excursion, several fall hikes feature a golden canopy to walk under. The Elk Fork Trailand Sweetwater Trail are two of the best to enjoy the colors. You can hike the Elk Fork for three miles to the first creek crossing and then return, but during this time of year, with low water, you can continue as far as you want. Sweetwater takes you into the wilderness north of the highway and is about eight miles round-trip. Both trails are fairly flat, making them a good option for families or anyone looking for a mild workout. The meandering bed of the South Fork is the perfect habitat for colorful cottonwoods and willows. The section of the road from the Lower South Fork Road to the end at Deer Creek is where you'll find the best photo ops. From Cody, the South Fork drive is slightly over 50 miles, but it'll take you a good 90 minutes to navigate. You won't want to go any faster because the scenery here is stunning, especially when you get to the end of the road. You can also hike the short Isahwooa Mesa Trail or longer Deer Creek to get your fill of fall. The Ishawooa Mesa trailhead is located near the Valley School, while Deer Creek is farther down, almost to the end of the road. Both trails are steep as you climb out of the valley. Ishawooa Mesa switchbacks to the top of the ridge in 6.5 miles with a hefty elevation gain. The Deer Creek Trail is the foot and horse highway into the Thorofare Region of Yellowstone National Park, so expect quite a bit of company. 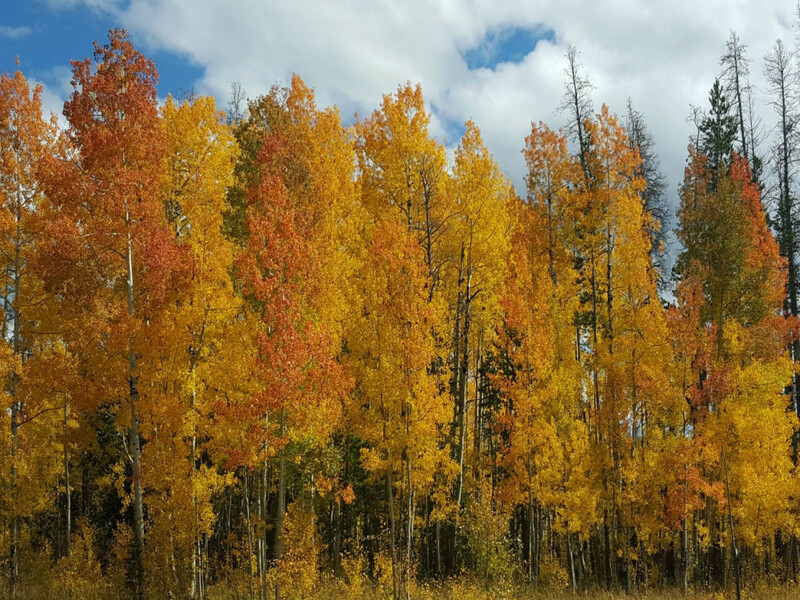 The aspen are doing their fall thing north of Cody along the Chief Joseph Scenic Byway. The byway turnoff is just 10 minutes north of Cody and winds along the Clarks Fork River for 47 miles until it intersects with the Beartooth All American Road. This beautiful route is named for Chief Joseph, who once led his Nez Perce band through the area attempting to evade the U.S. Cavalry and escape to Canada. When you intersect with the Beartooth Highway, you can turn left for Cooke City and the northeast entrance to Yellowstone or head right over the mighty Beartooth Mountains with their fabulous scenery and drop down into Red Lodge, Montana. Along the Chief Joseph, Swamp Lake hosts both aspen and cottonwoods, and the still water provides a beautiful backdrop for blue skies and yellow leaves. You'll see more and more aspen as you drive from into Crandall, thanks to their regeneration following the mighty Yellowstone fires of 1988. There's also good color up the Sunlight Basin Road. Trails to explore off the Chief Joseph include the Little Sunlight , Dead Indian, Crandall Creek, and the Clarks Fork . Each of these trails is about eight miles, with Little Sunlight and Crandall Creek having the steepest grades. Extensions to Crandall Creek will take you into the northeast corner of Yellowstone. 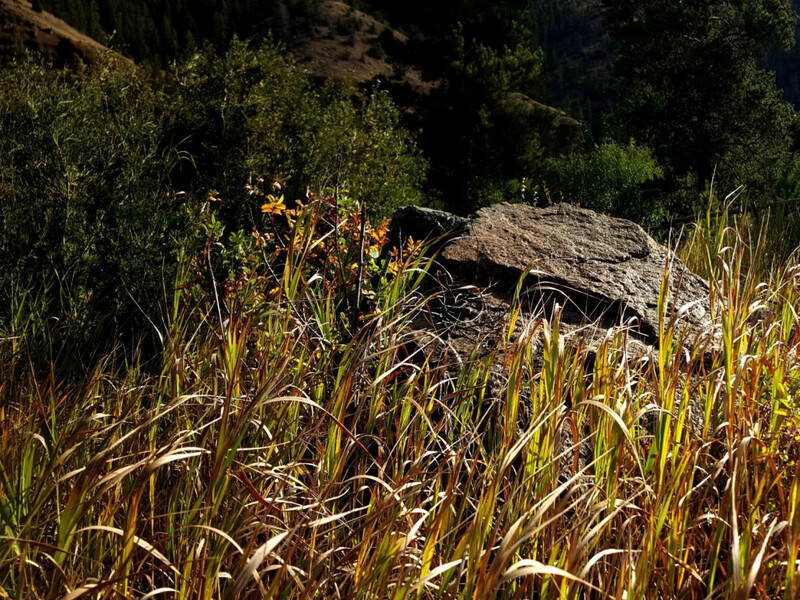 The Clarks Fork trail is flat and open, with the warm sunlight a cheerful and welcome companion on a cool fall day. 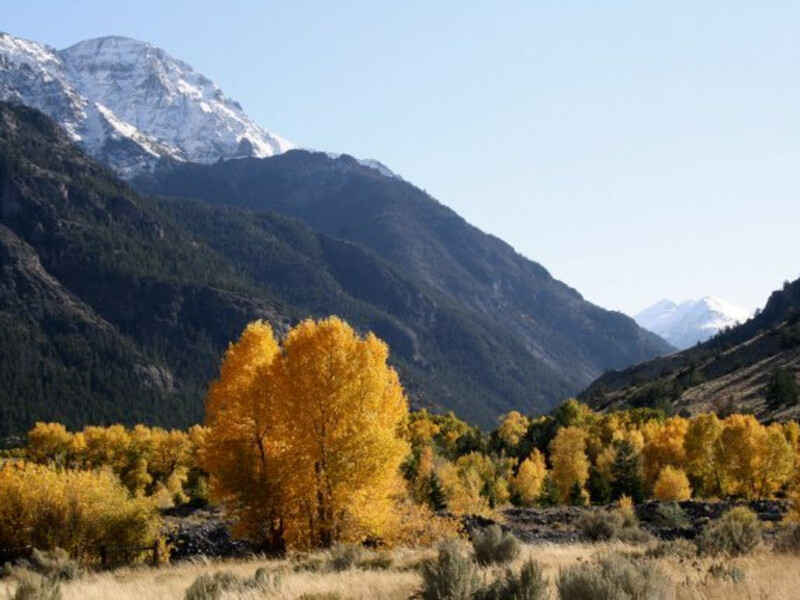 Although the intense yellows of the aspen and cottonwoods steal the show, don't forget to take a closer look at some of the other fall foliage at your feet. Silver-green sagebrush and copper-colored grasses add texture to the landscape, while wild roses sport rust-colored leaves and bright red fruit. Chokecherries have deep purple leaves, sticky geranium are burgundy, and the remaining yellow rabbit brush shrubs add their own color to the landscape.